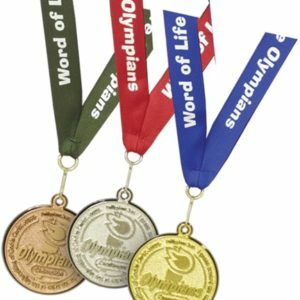 These classy, full color metal award pins will generate excitement among the children as they collect a complete set during their 6 years in Olympians. 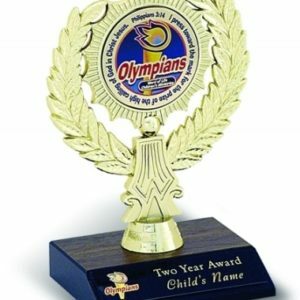 They are awarded each time a child completes an award level. 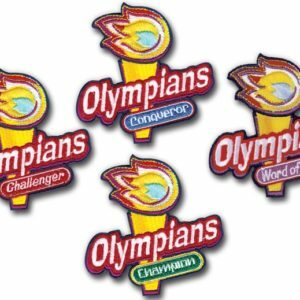 Show the children how their achievements can be displayed at home in the sharp Olympian award display box.